In the week commencing Monday 12 June 2017, as you probably know, Year 1 children in England will be taking part in the phonics screening check, so that schools can check each pupil’s phonic knowledge and progress. How can you help your child in the days leading up to the test, and with reading and phonics generally? 1. Make reading a part of everyday life. 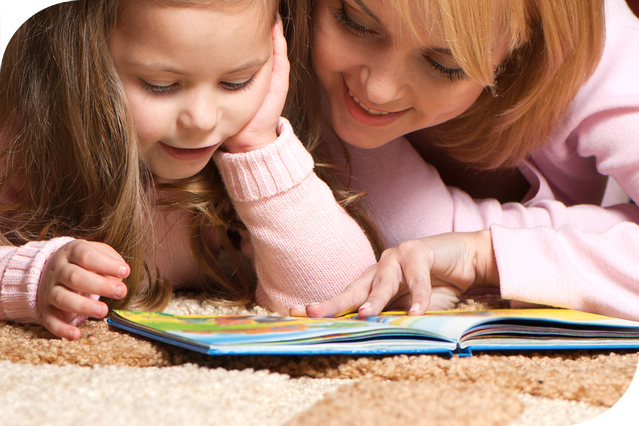 Let your child see you enjoying reading, read things together and make time for him/her to read to you every day. Even road signs, food labels and advertising slogans are there to be read! 2. Liaise with your child’s teacher about the phonics work that is going on in the classroom. The teacher is preparing your child for the check and knows your child’s skills and abilities in phonics, and the areas that need some practice. 3. The check itself is not stressful: a teacher your child knows will sit with him/her and ask your child to read 40 words. It only takes about 5 to 10 minutes. However, some children worry about any kind of test, so try and make sure both you and your child are relaxed about it. 4. When reading your child’s school reading book, encourage your child to ‘sound out’ unfamiliar words, blending the sounds that the letters or groups of letters make, going from left to right. E.g. c-a-t, d-ee-p, t-r-ai-n, s-t-or-m.
5. Support the work your child is doing in school by playing phonics games at home that are at his/her level. Have fun! We have produced a free activity to help your child to practise and be ready for the check: click the button below.